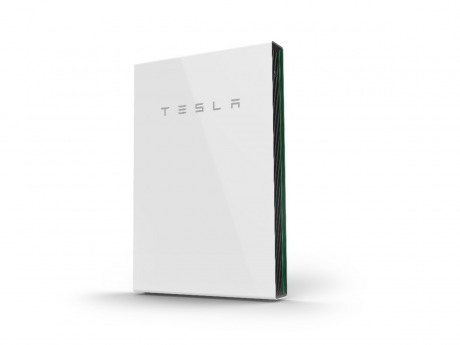 With Tesla's Powerwall home battery system you can store solar energy generated during the day for use at night or even during a power outage, providing 24/7 clean energy independence. Powerwall consists of a 14 kWh lithium-ion battery pack, liquid thermal control system, an integrated inverter and software that intelligently dispatches electricity when it's needed most. Powerwall mounts seamlessly on a wall or on the ground, indoors or outdoors, and is connected to the grid to export excess energy, maximizing your opportunity for economic benefit. As we mentioned in a previous announcement, adding battery backup to an existing residential PV system of a battery, inverter, wiring and software is now subject to the 30% Investment Tax Credit (ITC) as long as it is only charged by the sun. That makes this next year and a half an important time period for people interested in adding battery back up to their rooftop PV system! The ITC is scheduled to be reduced to 26% in 2020, 22% in 2021. After December 31st, 2021, the residential tax credit will officially end and the commercial and utility credit will drop to a permanent 10%.